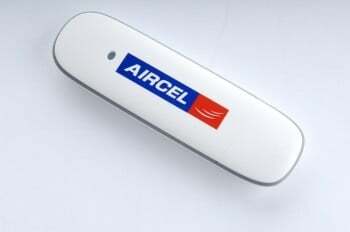 Aircel today announced the launch of a new 3G Dongle Value Pack with Data bundaled offer for its prepaid users. With this pack Aircel 7.2 Mbps 3G dongle will cost at Rs 1777 where the consumer gets 2GB data every month for 3 months. This new 3G Dongle Value Packs provides staggered data benefits to the consumers for 3 months. The price and staggered benefits make this 3G offering the best value for money product in the segment as 1 GB 3G Data cost just Rs.127 with account Top-up. The 3G Dongle offer is targeted at youth especially college students and young working professionals.